Release The Hounds and catch the birds! One of the things I love about climbing is how it gets me out to explore new places and is a good excuse to spend time outdoors. 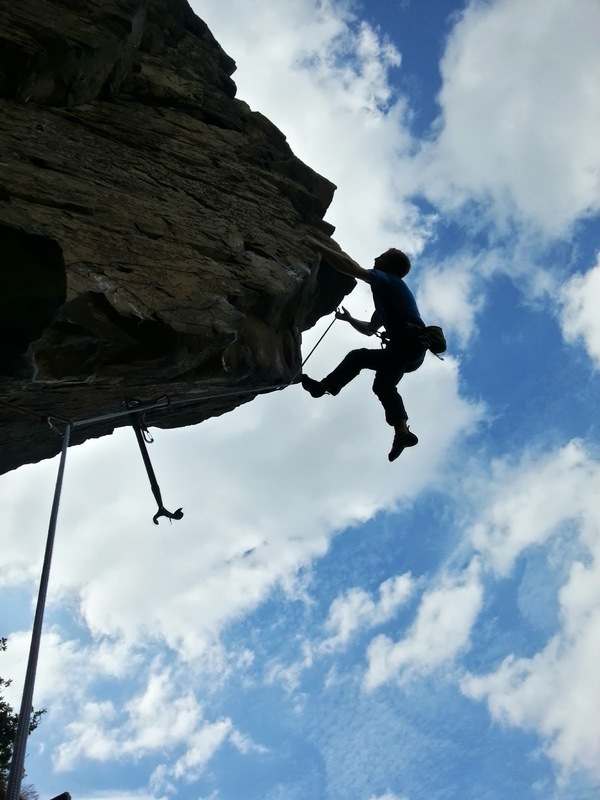 Last week I had a rather eventful afternoon out climbing with Luke. 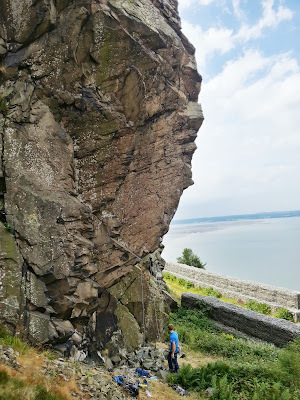 We went up to explore Craigiau Cigfran above Penmaenmawr and try the highly acclaimed route Release The Hounds 7c which takes a stunningly steep arête line on perfect dolerite/micro granite. 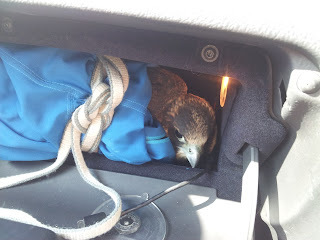 In between red point attempts I wandered along the incline below the the crag to discover an impressive looking bird of pray (a young buzzard I found out later) sitting on the wall next to me. Quickly I snapped a shot feeling lucky to have such an amazing photo opportunity. It turned out that the good photo opportunity was too good to be true, the bird was obviously not in good shape, it had a broken let and was very weak. While Luke busted out his bird distraction techniques I manage to grab it from behind, surprisingly it did not give up much of a fight it was obviously very week. Up close the bird looked stunning, sharp claws and pristine feathers, it was sad to see it in distress with it's leg sticking out at a funny angle. 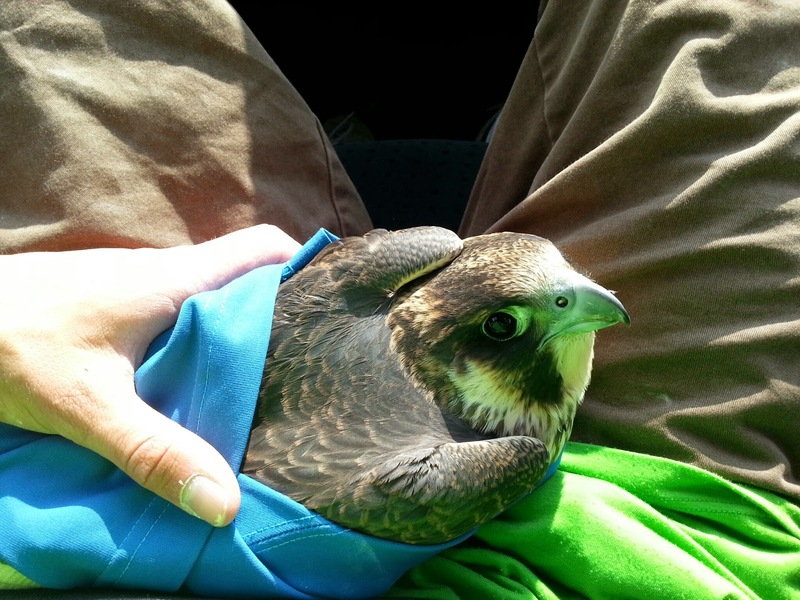 We wrapped it up in my jacket and laid it down in the shade. Quickly, not wanting to delay getting getting the bird medical assistance I tied on for a quick red point attempt of Release the Hounds. Luckily under the pressure of a bird in distress all the moves slotting into place and I managed to swift redpoint. The rumours of the 'best 7c in Wales' may well be true, although it's a tad short; a three bolt long boulder problem in the sky. The moves are very good though. There is an equally good 6c The Hunt just to the right which makes a good warm up. Further along there are a number of good looking mid grade routes but sadly with the mentioned bird commitments we never got a chance to check them out. Once back at the car, complete with dog and bird I phoned the RSPCA and they send someone out to pick-up the injured bird. Fingers crossed that it makes a full recovery. 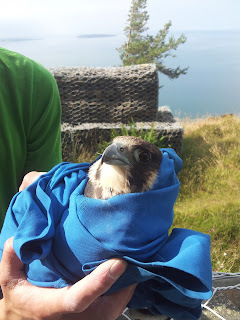 Nice one on RTH, you've actually rescued a young peregrine falcon!